The award, presented by the American Federation for Aging Research (AFAR) with support from the Irene Diamond Fund, will provide $120,000 in research funding to Ahn, a postdoctoral fellow studying age-related skeletal muscle weakness at OMRF. AFAR is a leading nonprofit dedicated to advancing healthy aging through biomedical research. The goal of this program is to provide portable and flexible transitional funding for senior postdoctoral fellows as they transition to faculty positions. The award provides full-time research training and grant support. “By giving these postdoctoral fellows this extra boost at a critical moment in their career path, AFAR is helping create a research pipeline that is essential to advancing better therapies for age-related diseases and discoveries that will help us all live healthier and longer,” said AFAR Executive Director Stephanie Lederman, Ed.M. At OMRF, Ahn works in the Aging and Metabolism Research Program under the guidance of Holly Van Remmen, Ph.D., looking at hormone administration as a therapeutic strategy for age-associated skeletal muscle weakness. Specifically, he studies unacylated ghrelin, a hormone naturally released by the stomach that signals you to eat. This hormone has unknown effects on skeletal muscle, but Ahn and Van Remmen found that when it was elevated in blood, it increased muscle mass. 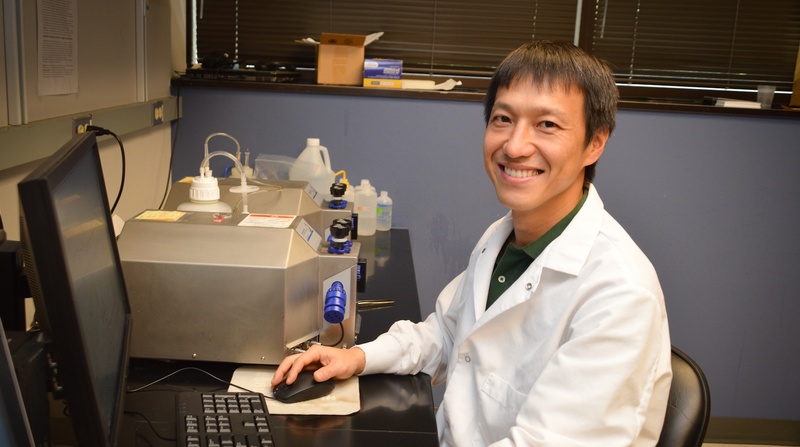 Ahn earned his Ph.D. at University of Florida. His academic focus was respiratory muscle weakness in in debilitating disease, including heart failure and cancer.